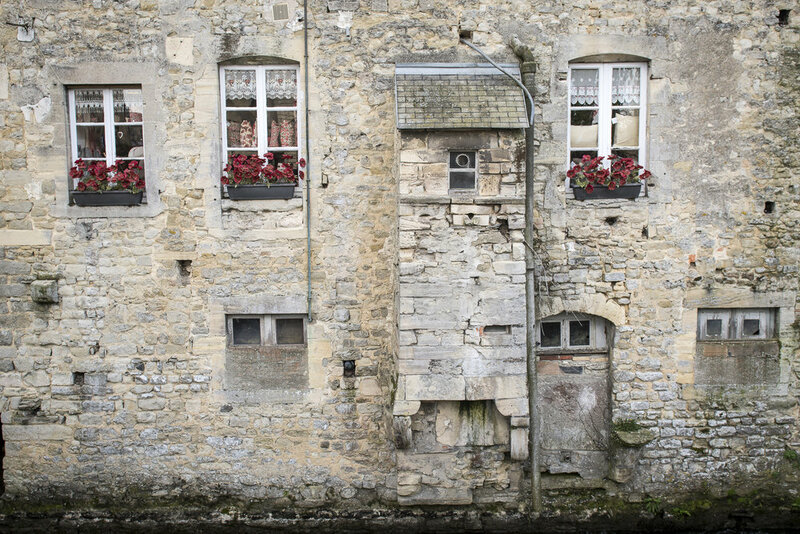 Take a day trip from Paris to Normandy with a professional photographer. 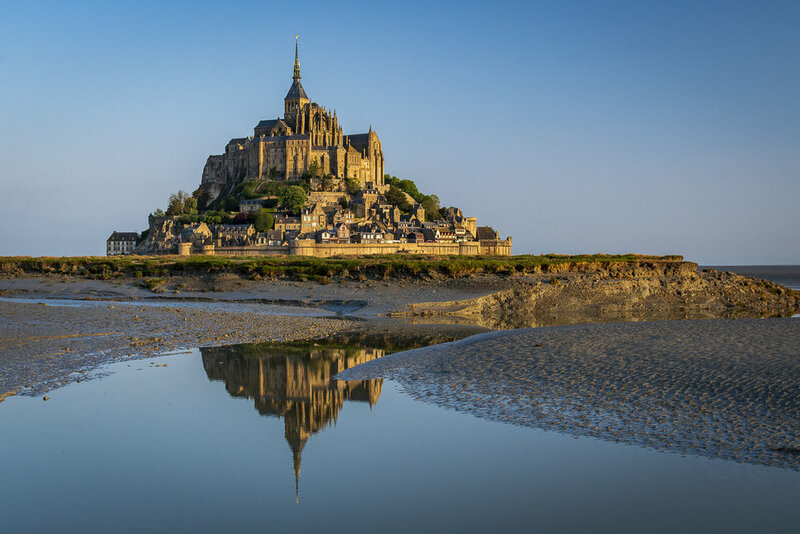 Pass D-Day beaches, and finish at the UNESCO world heritate site of Mont Saint-Michel. 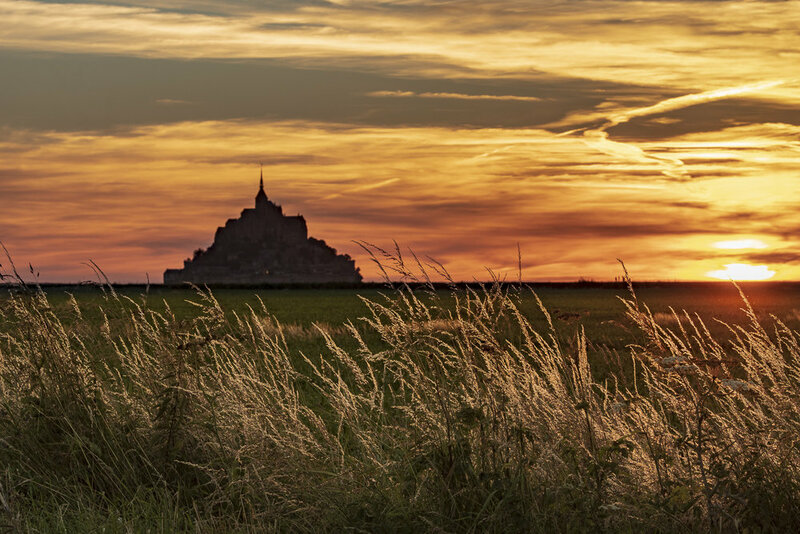 A professional photographer will accompany you on a private photography focused day trip through Normandy from the ancient Abbeys along the Seine or the D-Day Beaches and finish at Mont Saint-Michel. Private transportation to and from Paris, lunch or dinner included. Explore the rugged coastline of Normandy, camera in hand, to capture the essence of this region. 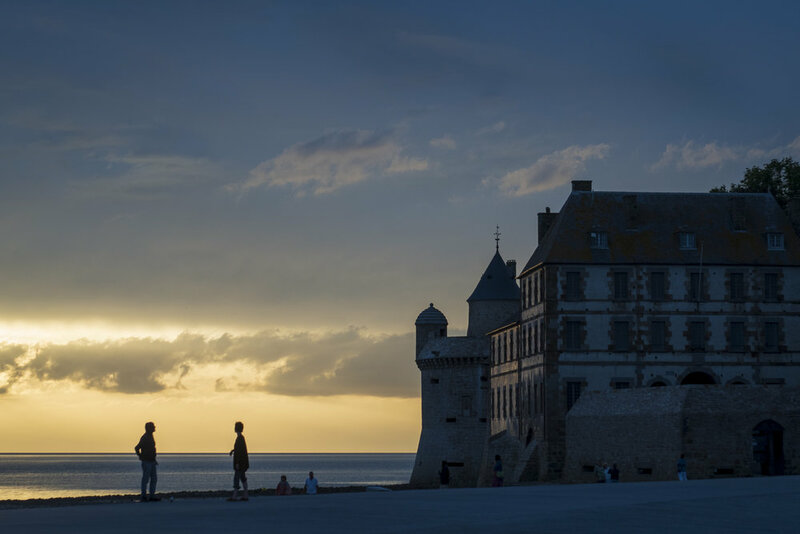 From Rouen to Omaha Beach, and Mont Saint-Michel, make sure you get the perfect photos. The Normandy coast is fraught with history and charming ambience. 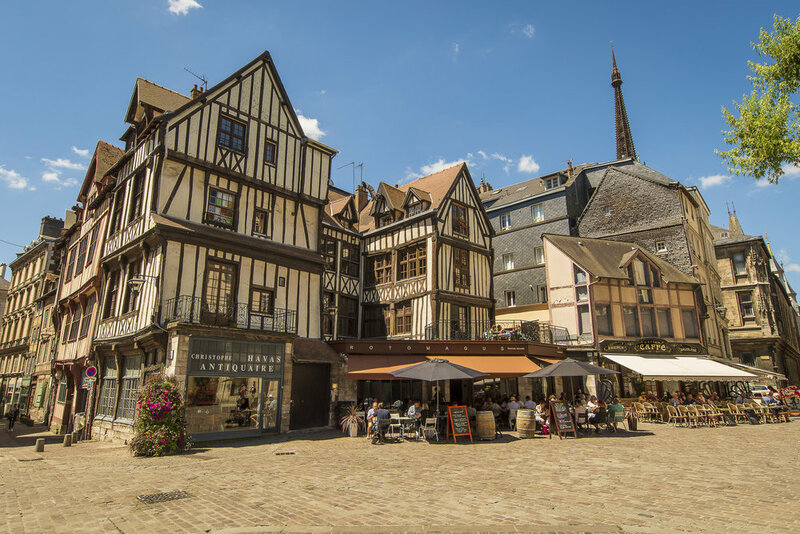 Medieval towns litter the countryside of Camembert and Calvados with a rich history. The Mont Saint-Michel, a UNESCO world heritage site, is the focus of the region with its gothic monastery punched high on its rocky island. The haunting Omaha beach was the launching point for the D-Day invasion. 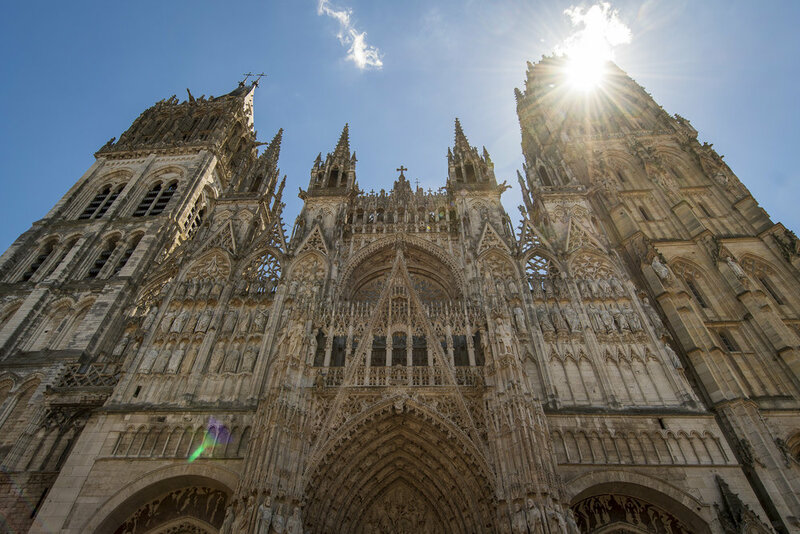 Rouen, dominated by its medieval cathedral was the site of the execution of Jean d’Arc. Furthermore, throughout the region, food and drink are omnipresent, from Crepes, Camembert and Oysters, to Cider and Calvados. No matter what your Interests are, Normandy has them all. Whether you are starting off, are a hobbyist, or have years of experience, our team of professional photographers will find superb photographic opportunities for all kinds of interests, from the cultural, landscape and war history points of view, we have you covered. There is so much to see, we can’t do it all, so let us know what interest you most. Below is a few of our favourite itineraries, and you can see more detailed descriptions at our Normandy Locations page. From Paris, stop off at one of the ancient Abbeys along the Seine or the Rouen Cathedral: where they executed Jean d’Arc. 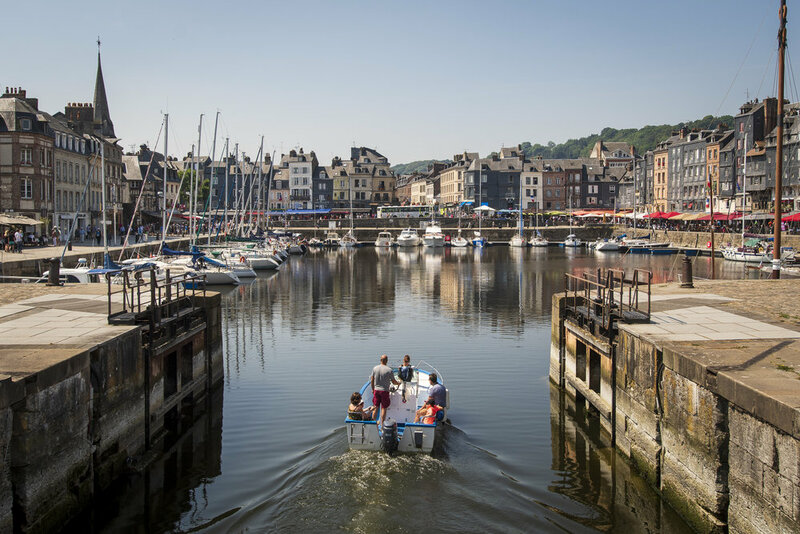 Stop off in the beautiful Honfleur or Bayeux and explore the medieval towns before jumping across to Mont Saint-Michel to capture the gothic cathedral pierced above the rocky island at sunset. From Paris, head to the remains of the Mulberry Harbours at Arromanches-les-Bains. 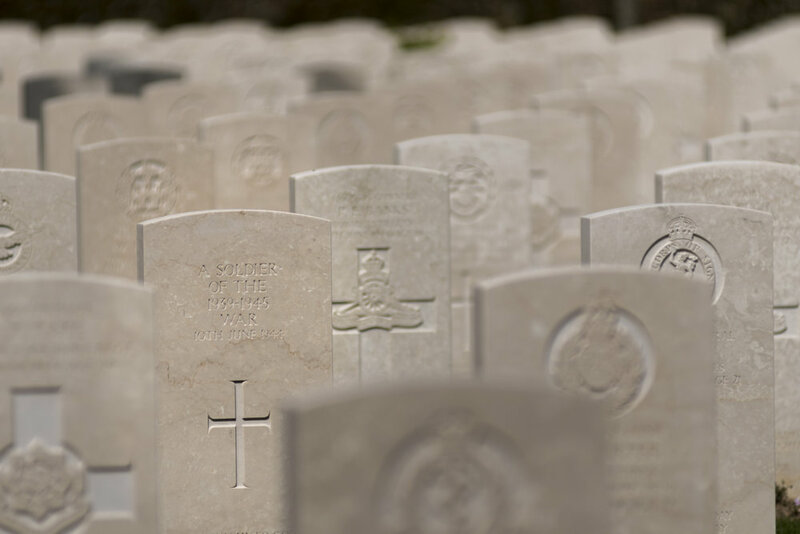 Make a stop at the Omaha Beach, the most famous D-Day landing beaches, and attend the haunting American War Cemetery. 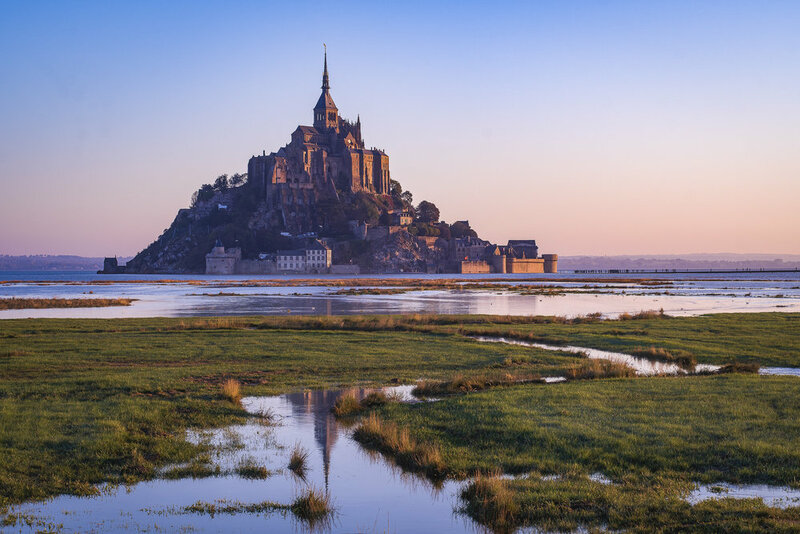 Jump across to Mont Saint-Michel to capture the gothic monastery pierced above the rocky island at sunset. 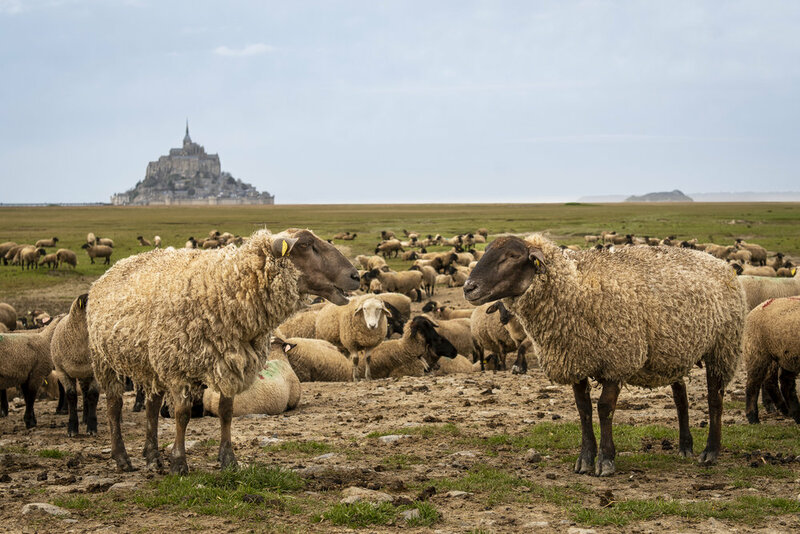 Head directly to Mont Saint-Michel to give yourself time to explore the island and the surrounds and get up close with a tour of the Abbey itself. At dusk, we will find the perfect vantage points to shoot the gothic church during sunset and twilight before returning to Paris. *This tour is available as a 15h round trip from Paris, 14h from Rouen, 12h from Deauville, Caen, Bayeux, Saint-Lo. It includes pick-up and drop-off direct to your hotel. 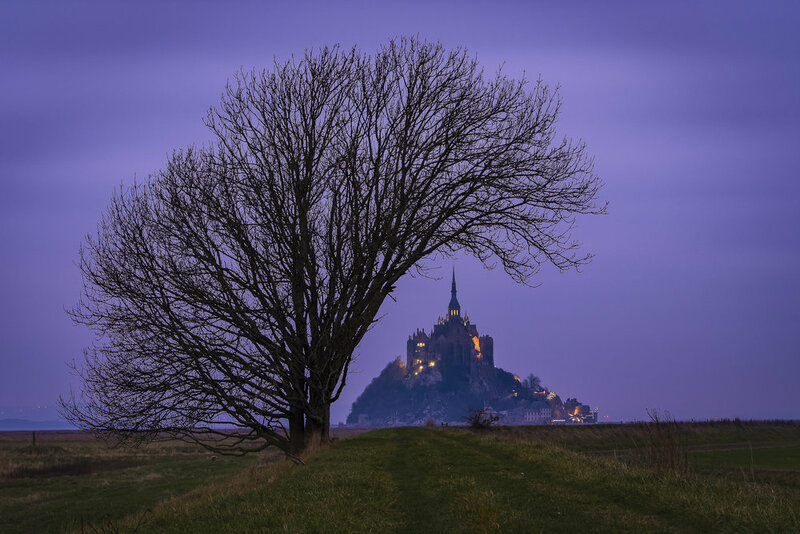 Mont St. Michel is 366 km (277mi) from Paris, so there is considerable travel time during this tour, with a minimum of eight hours round trip from Paris. For a more enjoyable shooting experience, we recommend you sleep overnight in Bayeux which is less than half the distance. We are more than happy to arrange hotel and train tickets from Paris to Bayeux at request. Or if you would prefer to sleep near Mont Saint Michel we can arrange this and shoot the sunrise together before parting ways. We recommend a tripod and 200 mm lens for this tour. Each tour is private, containing only your party. It is customisable to maximise your shooting interests and best use of your time. 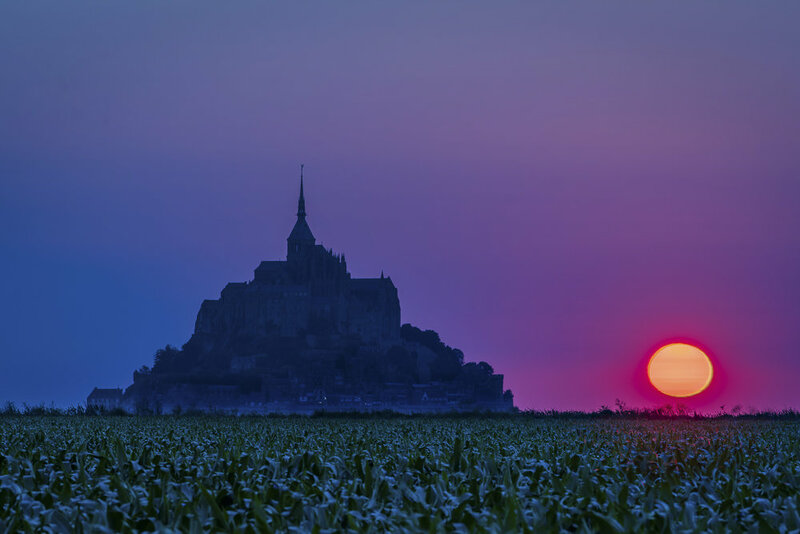 As the travel time of about 8 hours can be taxing, we strongly recommend staying overnight in Mont Saint Michel. This will give us more time along the route to shoot more of Normandy and will provide us with the opportunity to shoot the Abby at sunset and the more favourable sunrise. 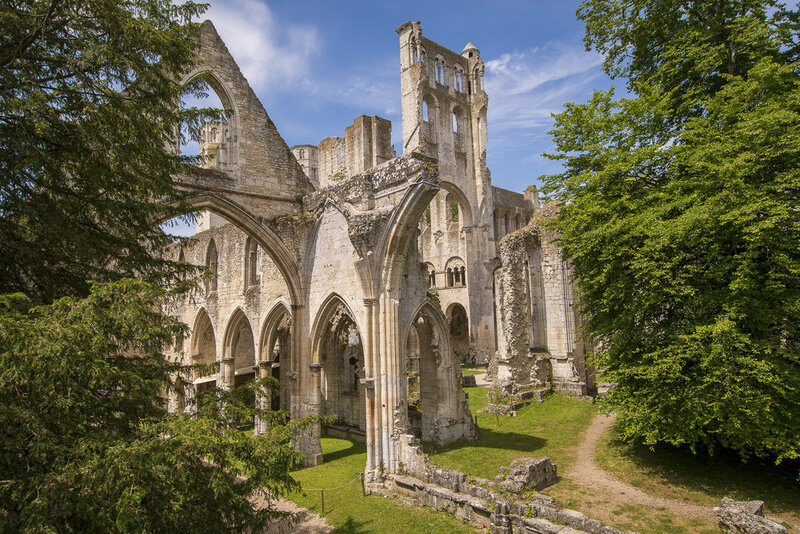 Please look at our Normandy Destination guide for more details. As you travel across the far reaches of the Normandy countryside, where France meets the English Channel, the island that punctuates the skyline is one of the most instantly recognisable silhouettes in all of France. 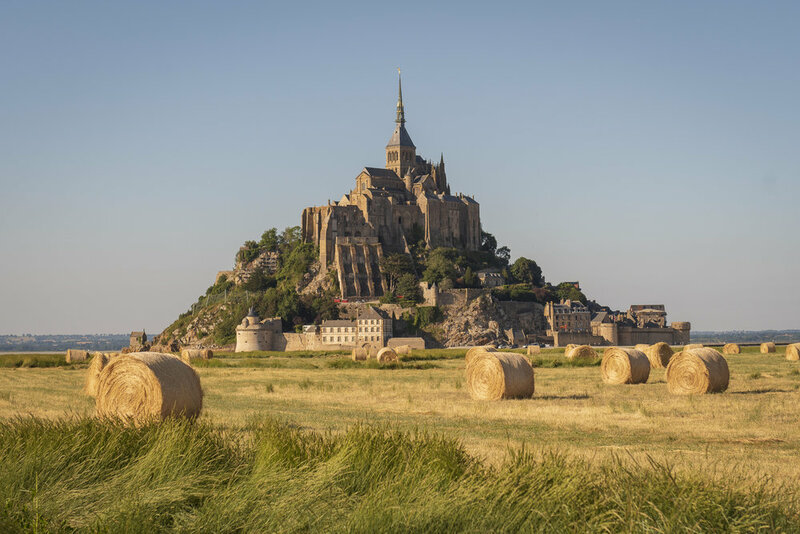 As you soak in the beauty of Mont-Saint-michel before your eyes, you continually wonder if you walked onto a film set or into a time vortex; it is so picture perfect that it is hard to believe it is real. I've been with Alexander for two days; in Paris and Mont Saint Michel. He taught us from the beginning to the end. I've learned a lot from him that I can use in real life. Alexander was really funny and helpful. If you are looking to learn how to shoot beautiful photos, then this is where you going to learn! 2018 Travel Photographer of the Year finalist Alexander J.E. Bradley is the founder of Aperture Tours and a decade long resident of Paris. A photographer by spirit he has dedicated himself to his camera and opening up the world in order to break down barriers. Alexander's style has been described as a "vivid lucid dream" as he enjoys mixing surreal elements into his conceptual work. His passion for photography grew hand in hand with his passion for travel, having visiting over 60 countries worldwide to perfect his skill. Now he teaches photography in his adopted home of Paris to anyone who will listen to him. He is a bohemian, a photographer, a philosopher and traveler... in that order. Alexander has been featured in publications such as Lonely Planet, Practical Photography, The Guardian, The Daily Mail, Savoir Tout faire en Photographie and The Peninsula as well as being features on The Flickr Weekly and Messy Nessy Chic’s Don’t be a Tourist in Paris. Originally from Missouri, USA, William has been based in Western Europe since 2012 where he divides his time between Paris and Amsterdam. He is an international documentarian and campaigner for human rights. When he is not travelling abroad, he spends his time exploring the countrysides. Focused on mixing reportage and portraiture, William is deeply invested in using images to tell stories. Led by a strong social conscience, he is a high-level leader with the NGO Witness Change, an international non-profit, sharing stories of human rights abuses. He has created video documentaries on LGBT groups in sub-Saharan Africa and refugee groups in Europe and Bangladesh. William has worked on projects for the Guardian, New York Times & National Geographic and international groups such as Doctors Without Borders (MSF) & Elton John Aids Foundation. He is the founding member of Aperture Tours, the first to join Alexander J.E. Bradley in leading tours. Mathias began his career as a photojournalist and since then crossed many disciplines, now finds himself comfortable with oriented towards architecture and conceptual photography. His work has been exhibited with the Photographic Association of Marseille where he displayed a triptych with the theme "In the manner of..." where he expresses in his images a style and a graphic that corresponds to it. Moving from Marseille to Paris has allowed him to get closer to his photographic dreams by being surrounded by inspiration, opportunity and beauty in the French capital.